The Center for Workshops in the Chemical Sciences is a NSF sponsored initiative. 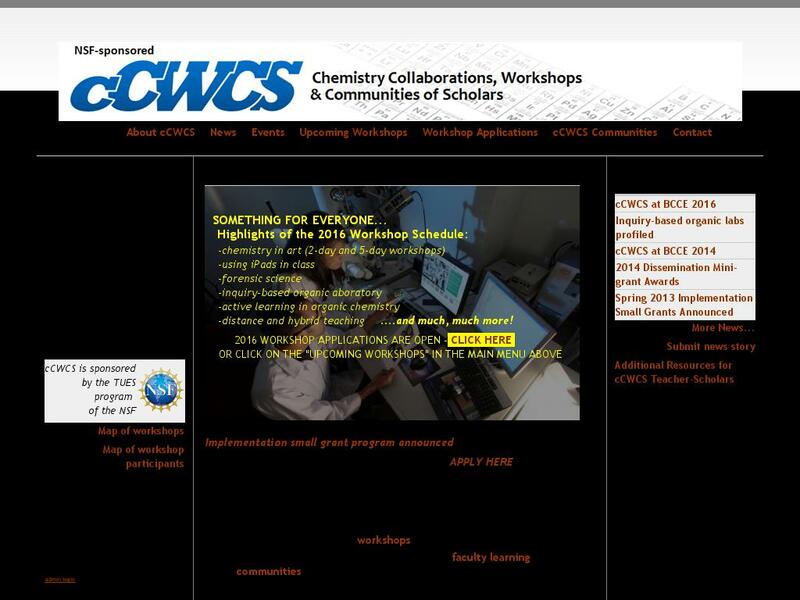 The CWCS provides workshops for faculty at eligible US institutions including 2- and 4-year colleges and universities. The workshops are designed to provide a background and modern perspective on key areas of the chemical sciences (broadly defined) along with methods to introduce these topics into the undergraduate curriculum.